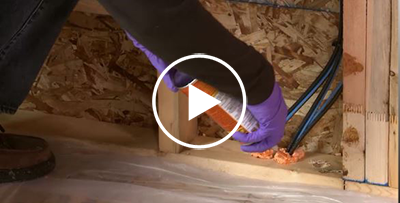 Air sealing around main electrical panel. 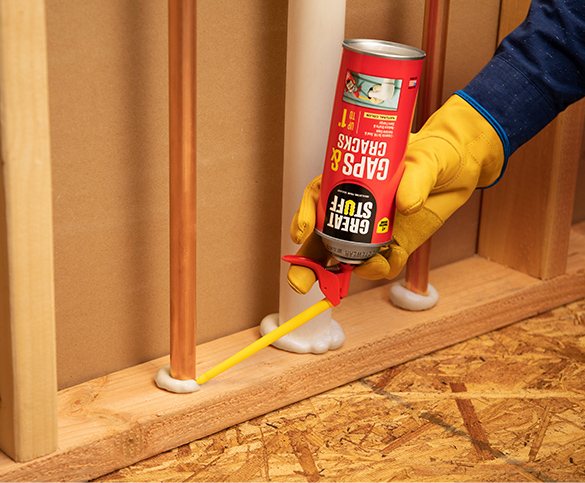 All the electrical wiring throughout a house meets here, leaving plenty of room for unwanted air to flow right on through into a home’s living spaces. And in the event of a fire, that air flow can help fuel the spread of smoke and flames. 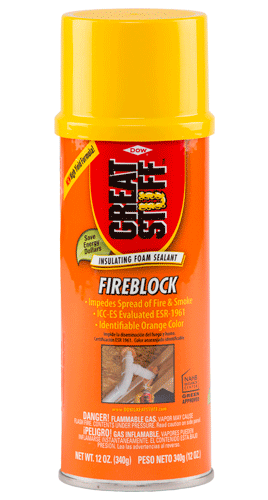 You can help impede the spread of smoke and flames with GREAT STUFF™ Fireblock and GREAT STUFF PRO™ Gaps & Cracks. NEVER APPLY PRODUCT INSIDE THE ELECTRICAL PANEL.